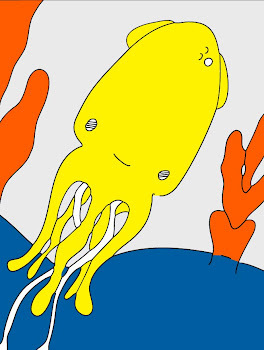 Technicolor Squid: Baby Got Greenback. I like big butts and I can not lie. No other brother can deny ... sorry that song is always on my mind. Yep, always. It is hard to top it’s gluteul perfection! Did I just cross a line? Anyway, while mailing these pins out yesterday with a handful of other items, I set the packages and my money on the empty post office counter. Dumb? Yes. I know. Of course, I forgot the money as hubby as I went to fill out labels. A minute later a man walked up to the counter, asked a quick ridiculous question and walked away with no packages to be mailed. Nobody else approached until we returned to the counter to pay. Aware now that I had left the money behind on the counter we quickly came to the upsetting realization that the man with the dumb question just stopped by long enough to take our $30s!! It was kind of frustrating, but I said to Si that the guy must have needed it more than us. It was just a bit more charity than we had planned for. Here is where it gets a little strange. My horoscope this morning, which I read for fun, said that any charity that we gave today would be returned. I was not too fond of this possibility because I think charity is at it’s ideal when it can be anonymous and without reward. This doesn’t always occur, but it’s nice to try. Well, right after we unwittingly donated our money to the gentleman at the post office our dinner was delayed and the restaurant gave it to us for free! It was going to be a splurge anyway, especially after I lost our cash, but they gave it to us with a bunch of extras and a lot of apologies. Very weird and in this case I did not mind the return so much! It was pretty darn yummy! * I have a prettier green to show you but it is not photographable just yet. May put it in later today or I might have to save it for next week! Thanks for bearing two days of pins! !